In the Washington DC area, our Locksmith Bloomingdale DC Team protects and secures your property. We provide services for residential and commercial properties as well as automotive security in Washington DC. King Locksmith deals with emergency lockouts as well. Our Bloomingdale Locksmith Team is prepared to help you if you are locked out of your home, office or auto. 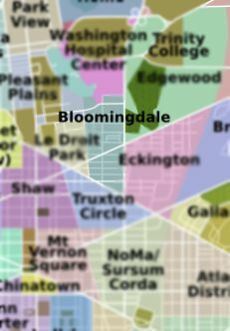 Our Bloomingdale Locksmith Team has a plan for an immediate response for customers in Washington DC. Our team assures you that you will never experience long waits for Residential, Commercial and Automotive Lockouts. If you experience Emergency Lockouts, then King Locksmiths will respond quickly. The solution to your locksmith and security needs is our Locksmith Bloomingdale DC Team. We have the security technology to protect your property. In the Washington DC area, King Locksmiths has security measures to make it possible for you to act proactively to guard against break-ins. King Locksmiths provides lock installation, rekey and repair as well as high security and keyless entry locks. You may consider newer high security systems. Older systems begin to age out. The older systems are not as secure and user friendly as are the new systems. We can provide innovative security systems that will protect all the contents of your home as well as sensitive data for your business. The cost of a break-in and loss of property can be profound. We can prevent a break-in. You might want to have our tech team come to your offices and homes to do an evaluation. We have custom designed systems that will focus on your specific needs. There are new security systems coming on the market. Our staff is current with new technology. We are always available for consultation to upgrade your security system or help with ideas for lock systems. We provide all this and the normal, everyday locksmith services (keys, locks, unlocking) for Homes, Businesses and Automobiles! Locksmith Bloomingdale DC Services with King Locksmiths https://kinglocksmiths.com/bloomingdale-dc/ 3.9/5 based upon 29 reviews.